Beginning as a Resident Advisor at Horizon House in 1984, Linda has risen to the position of Vice President for Developmental Services. In this role, she oversees Intellectual and Developmental Disability Services, including co-occurring Mental Health Services, and is involved in supporting a variety of residential settings, clinical and medication management, behavioral support, individual and group therapy, employment services, and more. 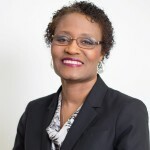 In addition to the leadership and human service experience she brings to her position as VP of Developmental Services at the agency, Linda is also the Vice Chair of the Pennsylvania Traumatic Brain Injury (TBI) Advisory Board, which provides advice and expertise to the Pennsylvania Department of Health in determining the service and support needs of individuals with TBI. In addition, she is a member of the American Association on Intellectual and Developmental Disabilities. Linda was one of the first recipients of the Horizon House Wayne R. Chiodo Leadership Award in 2010. She earned her B.A. from Temple University and her M.B.A. from Eastern University.